NUMS has announced fourth merit list for Foundation University Islamabad. The Foundation University Islamabad (FUI), is a private university located in Islamabad, Pakistan. It has two campuses; Islamabad & Rawalpindi. FUI is a private sector university, sponsored by the Fauji Foundation which is the largest welfare organization in the country. University was founded in 2002. The FUIC consists of Foundation University Medical College (FUMC), Foundation University College of Dentistry (FUCD), Foundation University Institute of Rehabilitation Sciences (FUIRS), Foundation University college of Nursing (FUCN), the University Secretariat and Fauji Foundation Hospital (FFH) (Teaching Hospital of FUMC). Fourth merit list for Foundation University has been announced by NUMS. 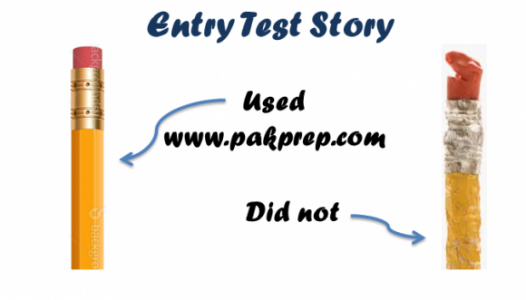 This entry was posted in NUMS and tagged 4th merit list FOUNDATION UNIVERSITY for foreign seats, Army Medical College, Army medical College 2018, Army medical College Admission, Army medical College Admission date, Army medical College Admission dates, Army medical College Admissions, Army medical College eligibility, Army medical College Eligibility criteria, Army medical College Entry Test, Army medical College Entry Test date, Army medical College Entry Test dates, Army medical College entry test online preparation, Army medical College entry test syllabus, Army medical College fourth Merit List, Army medical College fourth Merit List 2017, Army medical College fourth Merit List 2018, Army medical College fourth Merit List for MBBS, Army medical College fourth Merit List for MBBS 2017, Army medical College fourth Merit List for MBBS 2018, Army medical College fourth Merit List for MBBS admission, Army medical College fourth Merit List for MBBS admission 2017, Army medical College fourth Merit List for MBBS admission 2018, Army medical College fourth Merit List for MBBS admissions, Army medical College fourth Merit List for MBBS admissions 2017, Army medical College fourth Merit List for MBBS admissions 2018, Army medical College fourth Merit List of Open Merit Seats for MBBS, Army medical College fourth Merit List of Open Merit Seats for MBBS 2017, Army medical College fourth Merit List of Open Merit Seats for MBBS 2018, Army medical College fourth Merit List of Open Merit Seats for MBBS admission, Army medical College fourth Merit List of Open Merit Seats for MBBS admission 2017, Army medical College fourth Merit List of Open Merit Seats for MBBS admission 2018, Army medical College fourth Merit List of Open Merit Seats for MBBS admissions, Army medical College fourth Merit List of Open Merit Seats for MBBS admissions 2017, Army medical College fourth Merit List of Open Merit Seats for MBBS admissions 2018, Army medical College MBBS, Army medical College MBBS Admission, Army medical College MBBS admission date, Army medical College MBBS Registration, Army medical College MBBS Registration dates, Army medical College MDCAT test, Army medical College MDCAT test date, Army medical College MDCAT test dates, Army medical College MDCAT test past paper, Army medical College MDCAT test past papers, Army medical College MDCAT test pattern, Army Medical College Merit list, Army medical College Merit list 2017, Army medical College Merit list 2018, Army medical College MOCK test, Army medical College past paper, Army medical College past papers, Army medical College registration, Army medical College registration date, Army medical College sample Biology MCQs, Army medical College sample Biology MCQs with answer, Army medical College sample Biology MCQs with answers, Army medical College sample Biology MCQs with explanation, Army medical College sample Biology question, Army medical College sample Biology question with answer, Biology MCQs for Army medical College entry test, Biology MCQs for FOUNDATION UNIVERSITY entry test, Chemistry MCQs for Army medical College entry test, Chemistry MCQs for FOUNDATION UNIVERSITY entry test, Foundation University, FOUNDATION UNIVERSITY 2018, FOUNDATION UNIVERSITY 4th Merit List, FOUNDATION UNIVERSITY 4th Merit List 2017, FOUNDATION UNIVERSITY 4th Merit List 2018, FOUNDATION UNIVERSITY 4th Merit List for MBBS, FOUNDATION UNIVERSITY 4th Merit List for MBBS 2017, FOUNDATION UNIVERSITY 4th Merit List for MBBS 2018, FOUNDATION UNIVERSITY 4th Merit List for MBBS admission, FOUNDATION UNIVERSITY 4th Merit List for MBBS admission 2017, FOUNDATION UNIVERSITY 4th Merit List for MBBS admission 2018, FOUNDATION UNIVERSITY 4th Merit List for MBBS admissions, FOUNDATION UNIVERSITY 4th Merit List for MBBS admissions 2017, FOUNDATION UNIVERSITY 4th Merit List for MBBS admissions 2018, FOUNDATION UNIVERSITY 4th Merit List of Open Merit Seats for MBBS, FOUNDATION UNIVERSITY 4th Merit List of Open Merit Seats for MBBS 2017, FOUNDATION UNIVERSITY 4th Merit List of Open Merit Seats for MBBS 2018, FOUNDATION UNIVERSITY 4th Merit List of Open Merit Seats for MBBS admission, FOUNDATION UNIVERSITY 4th Merit List of Open Merit Seats for MBBS admission 2017, FOUNDATION UNIVERSITY 4th Merit List of Open Merit Seats for MBBS admission 2018, FOUNDATION UNIVERSITY 4th Merit List of Open Merit Seats for MBBS admissions, FOUNDATION UNIVERSITY 4th Merit List of Open Merit Seats for MBBS admissions 2017, FOUNDATION UNIVERSITY 4th Merit List of Open Merit Seats for MBBS admissions 2018, FOUNDATION UNIVERSITY Admission, FOUNDATION UNIVERSITY Admission date, FOUNDATION UNIVERSITY Admission dates, FOUNDATION UNIVERSITY Admissions, FOUNDATION UNIVERSITY eligibility, FOUNDATION UNIVERSITY Eligibility criteria, FOUNDATION UNIVERSITY Entry Test, FOUNDATION UNIVERSITY Entry Test date, FOUNDATION UNIVERSITY Entry Test dates, FOUNDATION UNIVERSITY entry test online preparation, FOUNDATION UNIVERSITY entry test syllabus, FOUNDATION UNIVERSITY fourth Merit List, FOUNDATION UNIVERSITY fourth Merit List 2017, FOUNDATION UNIVERSITY fourth Merit List 2018, FOUNDATION UNIVERSITY fourth Merit List for MBBS, FOUNDATION UNIVERSITY fourth Merit List for MBBS 2017, FOUNDATION UNIVERSITY fourth Merit List for MBBS 2018, FOUNDATION UNIVERSITY fourth Merit List for MBBS admission, FOUNDATION UNIVERSITY fourth Merit List for MBBS admission 2017, FOUNDATION UNIVERSITY fourth Merit List for MBBS admission 2018, FOUNDATION UNIVERSITY fourth Merit List for MBBS admissions, FOUNDATION UNIVERSITY fourth Merit List for MBBS admissions 2017, FOUNDATION UNIVERSITY fourth Merit List for MBBS admissions 2018, FOUNDATION UNIVERSITY fourth Merit List of Open Merit Seats for MBBS, FOUNDATION UNIVERSITY fourth Merit List of Open Merit Seats for MBBS 2017, FOUNDATION UNIVERSITY fourth Merit List of Open Merit Seats for MBBS 2018, FOUNDATION UNIVERSITY fourth Merit List of Open Merit Seats for MBBS admission, FOUNDATION UNIVERSITY fourth Merit List of Open Merit Seats for MBBS admission 2017, FOUNDATION UNIVERSITY fourth Merit List of Open Merit Seats for MBBS admission 2018, FOUNDATION UNIVERSITY fourth Merit List of Open Merit Seats for MBBS admissions, FOUNDATION UNIVERSITY fourth Merit List of Open Merit Seats for MBBS admissions 2017, FOUNDATION UNIVERSITY fourth Merit List of Open Merit Seats for MBBS admissions 2018, FOUNDATION UNIVERSITY MBBS, FOUNDATION UNIVERSITY MBBS admission, FOUNDATION UNIVERSITY MBBS admission date, FOUNDATION UNIVERSITY MBBS foreign merit list, FOUNDATION UNIVERSITY MBBS Registration, FOUNDATION UNIVERSITY MBBS Registration dates, FOUNDATION UNIVERSITY MDCAT test, FOUNDATION UNIVERSITY MDCAT test date, FOUNDATION UNIVERSITY MDCAT test dates, FOUNDATION UNIVERSITY MDCAT test past paper, FOUNDATION UNIVERSITY MDCAT test past papers, FOUNDATION UNIVERSITY MDCAT test pattern, FOUNDATION UNIVERSITY Merit list, FOUNDATION UNIVERSITY Merit list 2017, FOUNDATION UNIVERSITY Merit list 2018, FOUNDATION UNIVERSITY MOCK test, FOUNDATION UNIVERSITY past paper, FOUNDATION UNIVERSITY Past Papers, FOUNDATION UNIVERSITY registration, FOUNDATION UNIVERSITY registration date, FOUNDATION UNIVERSITY sample Biology MCQs, FOUNDATION UNIVERSITY sample Biology MCQs with answer, FOUNDATION UNIVERSITY sample Biology MCQs with answers, FOUNDATION UNIVERSITY sample Biology MCQs with explanation, FOUNDATION UNIVERSITY sample Biology question, FOUNDATION UNIVERSITY sample Biology question with answer, FOUNDATION UNIVERSITY sample Biology question with answers, FOUNDATION UNIVERSITY sample Biology question with explanation, FOUNDATION UNIVERSITY sample Biology questions, FOUNDATION UNIVERSITY sample Biology questions with answer, FOUNDATION UNIVERSITY sample Biology questions with answers, FOUNDATION UNIVERSITY sample Biology questions with explanation, FOUNDATION UNIVERSITY sample Chemistry MCQs, FOUNDATION UNIVERSITY sample Chemistry MCQs with answer, FOUNDATION UNIVERSITY sample Chemistry MCQs with answers, FOUNDATION UNIVERSITY sample Chemistry MCQs with explanation, FOUNDATION UNIVERSITY sample Chemistry question, FOUNDATION UNIVERSITY sample Chemistry question with answer, FOUNDATION UNIVERSITY sample Chemistry question with answers, FOUNDATION UNIVERSITY sample Chemistry question with explanation, FOUNDATION UNIVERSITY sample Chemistry questions, FOUNDATION UNIVERSITY sample Chemistry questions with answer, FOUNDATION UNIVERSITY sample Chemistry questions with answers, FOUNDATION UNIVERSITY sample Chemistry questions with explanation, FOUNDATION UNIVERSITY sample MCQs, FOUNDATION UNIVERSITY sample Physics MCQs, FOUNDATION UNIVERSITY sample Physics MCQs with answer, FOUNDATION UNIVERSITY sample Physics MCQs with answers, FOUNDATION UNIVERSITY sample Physics MCQs with explanation, FOUNDATION UNIVERSITY sample Physics question, FOUNDATION UNIVERSITY sample Physics question with answer, FOUNDATION UNIVERSITY sample Physics question with answers, FOUNDATION UNIVERSITY sample Physics question with explanation, FOUNDATION UNIVERSITY sample Physics questions, FOUNDATION UNIVERSITY sample Physics questions with answer, FOUNDATION UNIVERSITY sample Physics questions with answers, FOUNDATION UNIVERSITY sample Physics questions with explanation, FOUNDATION UNIVERSITY Sample question, FOUNDATION UNIVERSITY Syllabus, FOUNDATION UNIVERSITY Syllabus 2018, FOUNDATION UNIVERSITY Test 2018, FOUNDATION UNIVERSITY Test date, FOUNDATION UNIVERSITY Test dates, FOUNDATION UNIVERSITY test pattern, Fourth merit list foreign seats, How to apply for Army medical College, How to apply for FOUNDATION UNIVERSITY, How to Download Army medical College Roll Number Slip, How to Download FOUNDATION UNIVERSITY Roll Number Slip, MBBS for foreign merit list, MBBS foreign merit list, MBBS merit list for Army medical College, MBBS merit list for FOUNDATION UNIVERSITY, NUMS 4th merit list, NUMS 4th merit list 2017, NUMS 4th Merit List 2018, NUMS 4th Merit List for MBBS, NUMS 4th Merit List for MBBS 2017, NUMS 4th Merit List for MBBS 2018, NUMS 4th Merit List for MBBS admission, NUMS 4th Merit List for MBBS admission 2017, NUMS 4th Merit List for MBBS admission 2018, NUMS 4th Merit List for MBBS admissions, NUMS 4th Merit List for MBBS admissions 2017, NUMS 4th Merit List for MBBS admissions 2018, NUMS 4th Merit List of Open Merit Seats for MBBS, NUMS 4th Merit List of Open Merit Seats for MBBS 2017, NUMS 4th Merit List of Open Merit Seats for MBBS 2018, NUMS 4th Merit List of Open Merit Seats for MBBS admission, NUMS 4th Merit List of Open Merit Seats for MBBS admission 2017, NUMS 4th Merit List of Open Merit Seats for MBBS admission 2018, NUMS 4th Merit List of Open Merit Seats for MBBS admissions, NUMS 4th Merit List of Open Merit Seats for MBBS admissions 2017, NUMS 4th Merit List of Open Merit Seats for MBBS admissions 2018, NUMS fourth merit list, NUMS fourth merit list 2017, NUMS fourth Merit List 2018, NUMS fourth Merit List for MBBS, NUMS fourth Merit List for MBBS 2017, NUMS fourth Merit List for MBBS 2018, NUMS fourth Merit List for MBBS admission, NUMS fourth Merit List for MBBS admission 2017, NUMS fourth Merit List for MBBS admission 2018, NUMS fourth Merit List for MBBS admissions, NUMS fourth Merit List for MBBS admissions 2017, NUMS fourth Merit List for MBBS admissions 2018, NUMS fourth Merit List of Open Merit Seats for MBBS, NUMS fourth Merit List of Open Merit Seats for MBBS 2017, NUMS fourth Merit List of Open Merit Seats for MBBS 2018, NUMS fourth Merit List of Open Merit Seats for MBBS admission, NUMS fourth Merit List of Open Merit Seats for MBBS admission 2017, NUMS fourth Merit List of Open Merit Seats for MBBS admission 2018, NUMS fourth Merit List of Open Merit Seats for MBBS admissions, NUMS fourth Merit List of Open Merit Seats for MBBS admissions 2017, NUMS fourth Merit List of Open Merit Seats for MBBS admissions 2018, nums merit list, NUMS Merit list 2017, NUMS Merit list 2018, NUMS sample questions, NUMS Syllabus 2017, Physics MCQs for FOUNDATION UNIVERSITY entry test, Sample Biology MCQ’s for FOUNDATION UNIVERSITY, Sample Chemistry MCQ’s for FOUNDATION UNIVERSITY, Sample physics MCQ’s for FOUNDATION UNIVERSITY on January 29, 2019 by Pakprep.com Admin.